Diverter valves and flow control valves are essential components in bulk solid handling systems. They are used to shut off flows, adjust flow speeds and change conveying directions of powders, pellets and granular bulk materials. 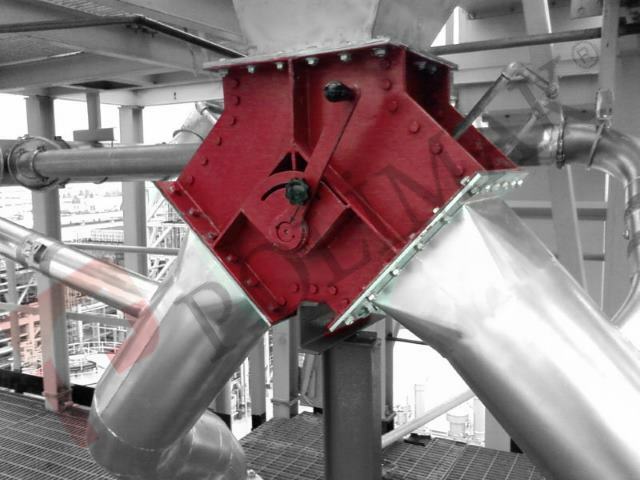 Extensive range of flow control and diverter valves are available for handling dry bulk material in pneumatic conveying and gravity flow applications. In addition to standard production range, custom designed valves are available for wide range of applications. During proccessing of bulk solids, material flow should be controlled in different locations. 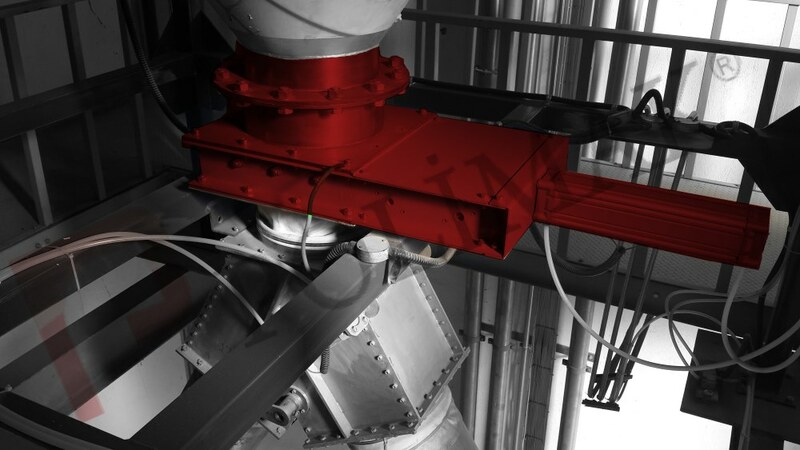 In gravity discharge applications, Flow control valves and diverter valves are generally installed at the outlet of dry bulk storage bins, silos, hoppers, chutes, mechanical conveyors or any similar points. Flow control valves are used to allow or prevent bulk material discharge. Diverter valves are used to divert gravity flow of bulk solids from one feeding point to two or more receiving points. In pneumatic conveying applications diverter valves are used to divert bulk material flow from one feeding point to two or more receiving points. Bulk materials in powder, pellet, flake or granular form can be re-routed within pressure conveying and vacuum conveying lines. Designing valves for bulk solid handling processes require great deal of know-how and long years of experience. Selecting the most efficient valve for a particular system plays cruical role in obtaining long years of service. 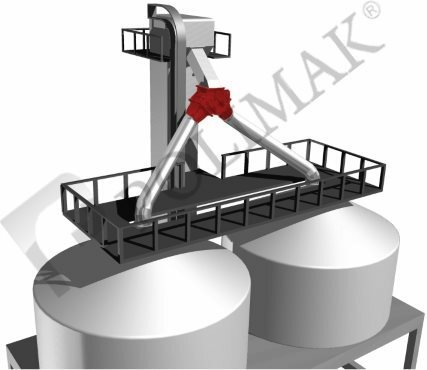 Polimak carries out specific engineering and production activities to provide trouble free solutions.